Todd McFarlane and Greg Nicotero are joining forces once again for the reboot of comic-born anti-hero Spawn. Nicotero, a The Walking Dead alum, is set to provide the visual effects for the second Spawn film, reuniting with McFarlane after previously working together on the original Spawn. The first movie debuted in 1997 to little fanfare; many fans of the comic thought that the film relied too heavily on CGI effects that ultimately took away from the narrative of the resurrected disinclined leader of Hell’s army. With a 20+ year relationship helping to nail down a seasoned visual effects specialist, McFarlane is determined to make this new generation of Spawn look and feel different. Jamie Foxx is set to play Al Simmons, a man who literally dies to become Spawn. Michael Jai White originally played Spawn in the 1997 film, making him the first African American to portray a comic book character in a major motion picture. Jeremy Renner also joins the cast as Detective Twitch Williams, an investigator who catches the scent of something sinister happening in the supernatural world of Spawn. With talent like Foxx and Renner onboard, Spawn is already shaping up to be a superhero film to keep an eye on. In addition to the brilliant casting, McFarlane and Nicotero are creating an exciting new visual design for Spawn. McFarlane stated in an exclusive with ComicBook.com that he is working closely with Nicotero and his effects company to create something that not only evokes the 25-year history of the comic, but allows both designers some creative license between them. This process produced concept art designs for the character that delved into the essence of Spawn. After six weeks of back and forth, the duo finally came up with a final look for Spawn that simmers with a sense of dread and mystery. 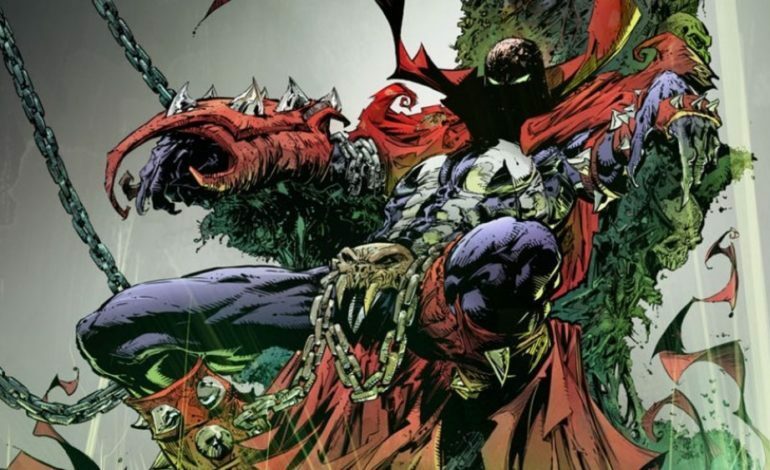 Spawn has yet to receive a production start date, but hopefully filming will begin by early 2019.